BeenThere-DoneThat: Day trips from London. These are places which are within easy travelling distance of London by train, or train and bus, for a day out. This is not just a list of available destinations but places which we have visited ourselves and can recommend. Just remember that what we like may not be what you like but if you like England's ancient heritage, the countryside or picturesque locations then you can't go wrong. The places have been chosen on the basis that there is enough to keep you occupied for the day, depending on your interests of course, without having to resort to more travelling, unless you choose to do so, apart from walking locally. Trips are arranged in ascending order of journey times. One of Europe's oldest forests and one of England's largest. A Roman wall and gateway nearly 2000 years old. Dedham Vale where Constable produced his paintings. One of Englands cathedral cities. One of Englands university cities. Details on these locations are given below. You can make savings on train fares - see the section on Public transport. IMPORTANT NOTE: The London Terminus and journey times were correct when each individual trip was set up but railway companies do sometimes change the starting terminus and/or the starting and journey times so do check, using the provided link (Train timetables and fares), before you plan your day. If you do see something that seems to be incorrect then please do let me know. You should travel from London King's Cross or Moorgate to Hatfield Station. The walk from the station into Old Hatfield (Street map) is less than a quarter mile bringing you near Hatfield House and Fore Street with the Eight Bells pub. 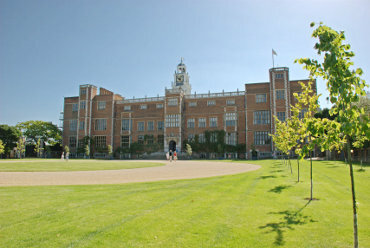 Walking up Fore Street will take you straight into Hatfield House. There isn't a lot to see here apart from Hatfield House although you could easily spend most of the day looking at the house, gardens and parkland. It is worth looking round Old Hatfield although that would probably take no more than an hour. You should travel from London St. Pancras Station or Blackfriars to St. Albans City Station. 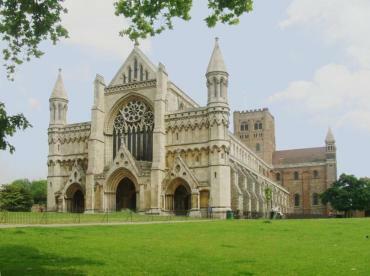 You could also travel to St. Albans Abbey Station but the journey time then doubles to 40 minutes without any real advantage. The walk from the station into the city centre (Street map) is about a half mile bringing you near the Medieval Clock Tower and George Street with the Tudor Tavern although you could, of course, get a bus or taxi instead of walking. The Cathedral is a little further on and next to it is Verulamium Park with its Roman relics. You can travel from London Liverpool Street Station to Chingford. This, in my opinion is the best route. Chingford Station is the station nearest (a half mile) to Queen Elizabeth's Hunting Lodge which was originally built for King Henry VIII in 1543 but was taken over, after his death, by his daughter Queen Elizabeth I. It is open to the public on certain days only and at restricted times - check before you travel. This (PDF format) map of Epping Forest shows the position of Chingford Station and the horse rides through the forest, which you can also walk along, together with other details such as, and this is an important one, the positions of the pubs. A little further on (about another half mile) from Queen Elizabeth's Hunting lodge, across Chingford Plain, is Connaught Water. 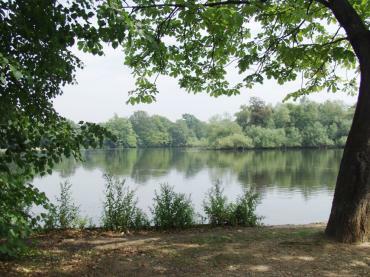 Another 1½ miles through the forest would get you to High Beach with views across the Lea Valley to London. This gives full details of a circular walk from Chingford Station to High Beach and back. You can also travel on the Underground Central line going east to either Loughton, Theydon Bois or Epping. Stations are denoted by red filled circles on the maps. Make sure that you get on the right train as not all Central line trains go to these stations. These destinations are less than a mile from the forest. The map mentioned in the first paragraph also shows the positions of the Underground stations. London Underground Maps or Journey Planner. 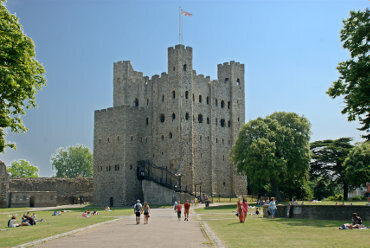 However if you want to see a real medieval castle then you can't do much better than the tallest medieval keep in the country in Rochester Castle. Nearby there is also the Norman Rochester Cathedral. You should travel from London Kings Cross Station to Cambridge. Cambridge station is about one mile from the city centre and there is a frequent bus service, about every 10 minutes, if you don't want to walk. The nearest point of interest, a 10 minute walk from the station, is the University Botanic Gardens. The next nearest, about a mile from the station, is The Mill pond on the River Cam which is next to Queens College and the Mathmatical Bridge. 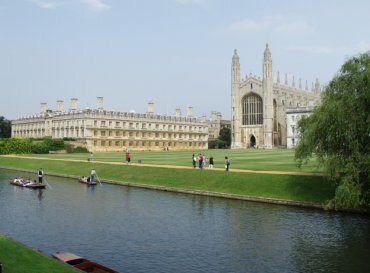 A little further on is the famous King's College Chapel and also St. John's College with its famous Bridge of Sighs. This is England's oldest recorded town. You should travel from London Liverpool Street Station to either Colchester North Station (50 minutes) or Colchester Town (60 minutes). Colchester North Station is about a mile from the town centre and there are plenty of taxis and buses if you don't want to walk. It is, however, only a half mile to these 17th century cottages by the River Colne where you can choose to walk along by the river and up through Castle Park or you could walk up through the Dutch Quarter. If you travel to Colchester Town you may have to change although there are some direct trains. This station will be nearer St. John's Abbey Gate and Colchester Castle. You could go to Colchester Town and work your way through the town and the Dutch Quarter and return from Colchester North Station. There is a Roman wall and the Balkerne Gate, the largest surviving Roman gateway in Britain, both nearly 2000 years old, the largest Norman Keep ever built, half-timbered houses, some 17th century bullet holes (no - seriously!) and more. There is a street plan showing points of interest. You should travel from London Liverpool Street Station to White Notley Station near Braintree which is the nearest railway station. I doubt that there is enough to occupy you for a whole day here so consider it as a short day trip and be aware that it will involve a walk of 1 mile each way on unsurfaced public footpaths over fields and is best experienced on a warm dry day. Having said that this site has two of the oldest timber-framed barns in Europe (12th century and quite spectacular) and includes other picturesque buildings. There is a very nice visitor centre which includes toilets and a self-service restaurant. 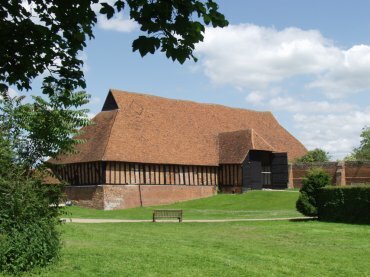 The barns and other buildings are closed during the winter so check information on opening times before you go. This gives full details of the walk from White Notley Station (21st century) to Cressing Temple Barns (12th century). That's a walk back through the centuries of 900 years - can you manage that? You should travel from either London Victoria Station or London Bridge Station to Brighton. You may find that fares from London Bridge Station are significantly cheaper than from London Victoria. 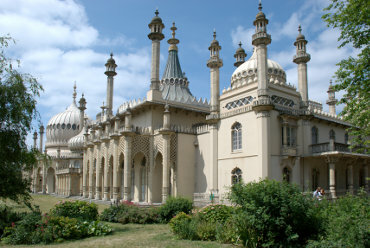 Brighton Station is within walking distance of the town centre. Head south along Queens Road until you can turn left along North Street which will take you close to the Royal Pavilion, the Brighton Museum and the lanes. Heading a little further south will bring you to the sea front including the Palace Pier, Brighton Wheel and Volks Electric Railway. 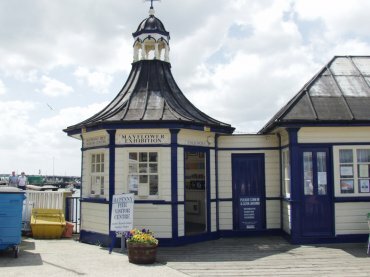 You should travel from London Liverpool Street Station to Manningtree. This trip will involve walking across fields and the return trip will be about four miles so, depending on the weather, you may need stout footwear and suitable clothing. However you will be walking through the beautiful countryside of Dedham vale that John Constable loved so much. When you reach Flatford you will arrive at Flatford Bridge - just a few hundred yards from Flatford Mill. 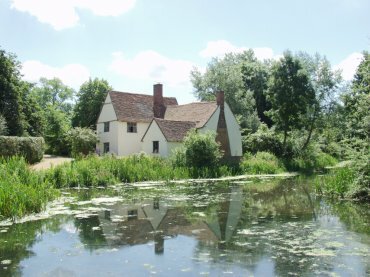 Just a mile from Flatford is the village of East Bergholt where Constable had his first studio and where Willie Lott and John Constable's parents are buried. This gives full details of the walk from Maningtree Station to Flatford Mill. You should travel from London Waterloo Station to Winchester. Walk from the station via Station Road into Upper High Street turning left down to Westgate with The Round Table nearby. 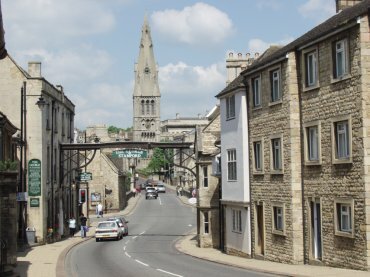 A short way down the High Street you will arrive at the Buttercross. 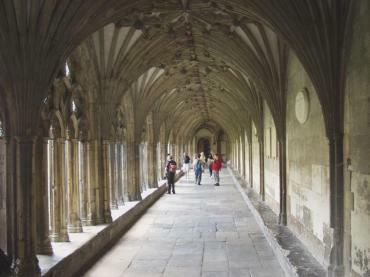 Through the archway into Great Minster Street and you will soon arrive at Winchester Cathedral. You will find it advantageous to plan what you want to see as there is so much of interest that you cannot possibly see it all in a day. If you want to make your train journey really interesting then the Cathedrals Express goes to Winchester from Victoria Station. See my special report below in the Canterbury section for more details. You should travel from London Kings Cross Station to Ely. Not all trains go direct to Ely. Direct journeys (no changes required) take an hour but if you have to change then the journey will take about an hour and a half. At the time of writing the direct journeys run about every hour and the indirect journeys more frequently. Ely station is within easy walking distance of the city centre and the cathedral. 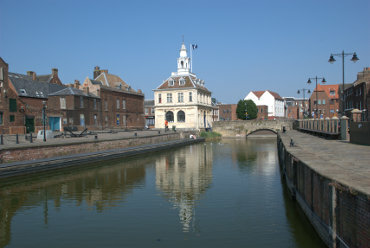 The nearest point of interest, about a half mile, is the River Great Ouse. Unique in Europe is Ely Cathedral which can easily be reached from the river. 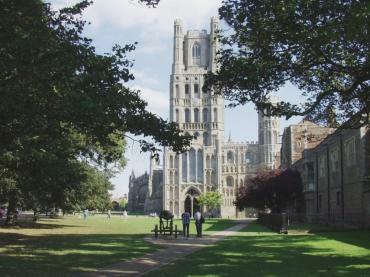 It is no more than a half mile walking up through Ely Park with good views of the cathedral as you go. If you want to make your train journey really interesting then the Cathedrals Express goes to Ely from Liverpool Street Station. See my special report below in the Canterbury section for more details. You should travel from London Victoria Station to Lewes. Some trains go direct to Lewes but some do not so you may have to change at Brighton but the journey time includes that change. Lewes Station is within easy walking distance of the town centre but is at the bottom of the hill so an uphill walk is required to get to the town centre. At the bottom of the hill you won't be far from Cliffe and a little further in the opposite direction you will find Southover Grange and then Anne of Cleeves House. You could also visit, in this vicinity, Lewes Priory. 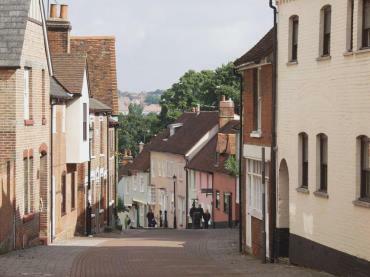 You could walk up the hill into the town centre via Keere Street to the 15th century bookshop at the top with the castle just along High Street. 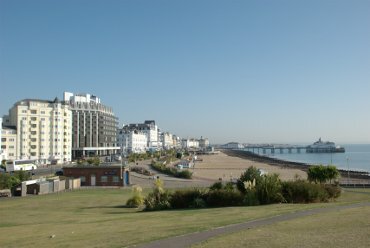 You should travel from London Victoria Station to Eastbourne which is at the end of the line and within easy walking distance of the seafront. You then have a choice of either looking around the town and seafront or taking a coastal walk. You are unlikely to have time to do both. The nearest point of interest to the station is The Pier and the Seafront in general. A little further, but in the opposite direction is the old town The Old Town. 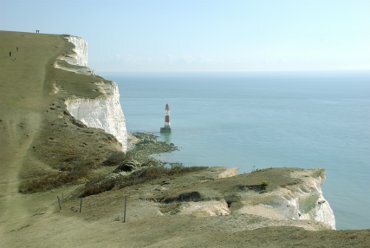 If your interest is not with a seaside resort but more with the countryside then instead of looking round the town of Eastbourne consider this eight and a half mile coastal walk from Eastbourne taking in Beachy Head, the Belle Tout Lighthouse, Birling Gap, the Seven Sisters and Cuckmere Haven with wonderful views every step of the way and returning to Eastbourne by bus. You should travel from London Liverpool Street Station to Harwich Town and NOT the international port at Parkeston Quay. Harwich Town station is at the end of the line, within easy walking distance of the quayside area and the nearest point of interest to the station is The High Lighthouse and the Treadwheel Crane. A little further is The Ha'penny Pier and the Mayflower Exhibition. You can travel from London Victoria, London Bridge or London Charing Cross to Canterbury. The most frequent trains run from Victoria, less frequently from London Bridge and much less frequently from Charing Cross. Canterbury has two stations - Canterbury West and Canterbury East. Both stations being within easy walking distance of the city centre. 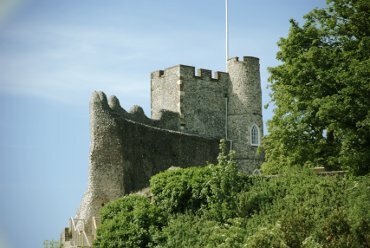 The nearest point of interest to Canterbury West station is Westgate Towers and to Canterbury East is Canterbury Castle and the Medieval Town Walls. Both stations are about equidistant (just over a half mile) from Canterbury Cathedral. Instead of the normal, rather boring, train journey you could make this a very special trip by travelling the way that I did and make it a day to remember. Whatever you do don't forget your camera! You should travel from London St. Pancras Station for the high speed service to Sandwich. From Sandwich Station walk along the cul-de-sac with the railway line on your left. When the road turns right go straight on along the footpath by the railway which will bring you out into New Street. Turn right and walk into the town centre. 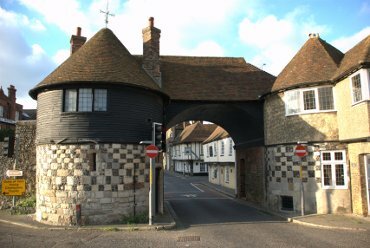 Sandwich is a small town and easily walkable to various point of interest including Strand Street, the Barbican, Holy Ghost Alley and the Town Wall. You can travel from London Charing Cross or Victoria to Hastings. The shortest journey ( 1 hour 30 minutes ) is from Charing Cross and the longer journey ( 2 hours ) is from Victoria. 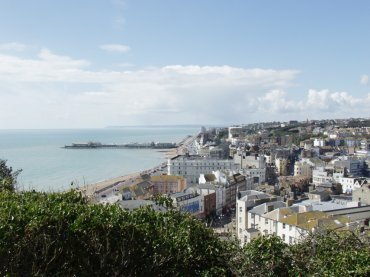 The nearest point of interest to Hastings station is the seafront at about one third of a mile. About a half mile east of the station is West Hill and the castle ruins. A little further, between West Hill and East Hill, is the Old Town. Hastings seems to have something for everyone. 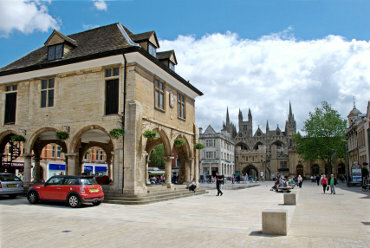 Stamford station is within easy walking distance of the town centre and Burghley House. It is a short walk, north, along Station Road then left over the footbridge onto the Town Meadow and continuing across the meadow will take you into the town centre. You could, instead, follow Station Road until it joins High Street St. Martins where these almshouses are situated, then turn right along High Street St. Martins and then left along Barnack Road until you reach the entrance to Burghley Park on your right. From the entrance gate to Burghley House is about a mile through the park. 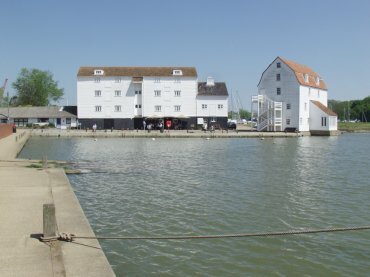 You should travel from London Liverpool Street to Woodbridge.The nearest point of interest to Woodbridge station is the waterside next to the station on the south-east side. A short walk on the north-west side of the station brings you to the town centre with the Shire Hall and the church. A little further on is Buttrum's Mill. You should travel from London Kings Cross to King's Lynn.The nearest point of interest to King's Lynn station is Red Mount Chapel south of the station. A short walk west from Red Mount Chapel through 'The Walks' is Greyfriars Tower and a little west along St. James Street is the Minster with Hampton Court nearby. Travelling north back past the Minster to Pur Fleet you will first pass Trinity Guildhall and onward to find the Customs House and many more locations of interest. You should travel from London Bridge or London Waterloo to Rye. The most frequent trains run from London Bridge and less frequently from Waterloo and you will probably have to change at Hastings or Ashford. You may find that on your return you end up at Charing Cross which is just on the other side of the Thames near Waterloo but that should not be any real inconvenience. Rye station is within easy walking distance of the town centre. You can see Mermaid Street, the Ypres Tower and St. Mary's Church and more. 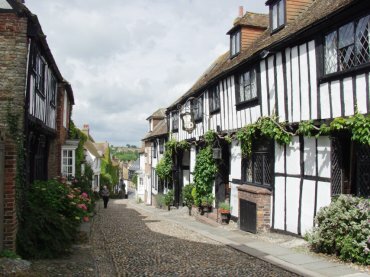 If you want 'quaint' and 'picturesque' then Rye has it in abundance. You can travel from London Liverpool Street Station to Norwich. Norwich station is within easy walking distance of the city centre. The nearest point of interest to the station is Pull's Ferry. Go from the station across the road to the river (don't cross the river bridge) and turn right and Pull's Ferry is about a quarter of a mile along the riverside where you will see it across the river. This is the best view but you can also reach it from within the cathedral close. A little further along the riverside is the Medieval Bishop Bridge. 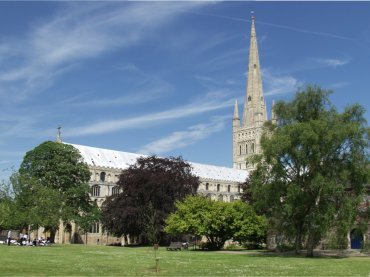 Crossing the bridge to the other side of the river and walking down Bishopgate will bring you to the entrance to the cathedral close and, soon after, Norwich Cathedral. 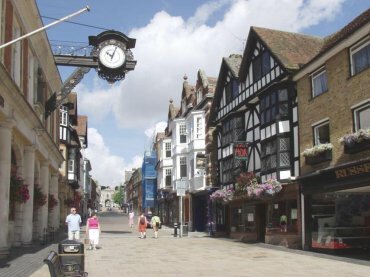 A short way from the cathedral is the medieval Elm Hill. There is probably too much here to be able to see it all in a day so try and decide what you want to see before you go. You should travel from London Paddington Station to Swindon. Outside Swindon Station catch the No. 49 bus, which leaves about 10 minutes past each hour, to Avebury (30 mins approx.). The bus stops in Avebury near the Red Lion Inn inside the stone circle - the stone circle is that big. Avebury Stone Circle is older and much larger than Stonehenge. Entry is free and you can walk among the stones and touch them. You could also see Silbury Hill, the highest man-made hill in Europe, and West Kennett Long Barrow, one of the best preserved burial chambers in Britain. 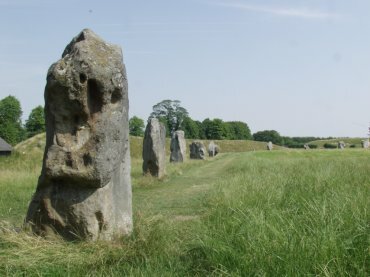 You can reach these locations, without walking on the road, by using the public footpath which starts near the National Trust Avebury Car Park and heads south to the point shown in the Silbury Hill link above. (local map). If you have time you could also look around the village including Avebury Manor (Check National Trust opening times). 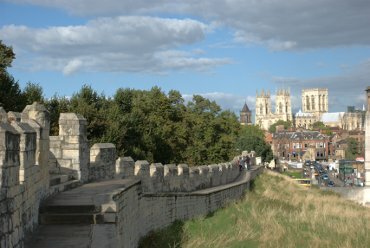 You can travel from Kings Cross Station to York. York Station is within easy walking distance of the city centre and is adjacent to the National Railway Museum. The next nearest point of interest to the station is the City Wall. Coming into the city on Station Road you will pass under this arch in the wall where you can easily access the wall walk. Turn left after passing through this arch and crossing Lendal Bridge will take you past Museum Gardens. A little further on and you will reach the Minster and from the Minster it is a short walk to Shambles. There is certainly too much here to be able to see it all in a day so try and decide what you want to see before you go. 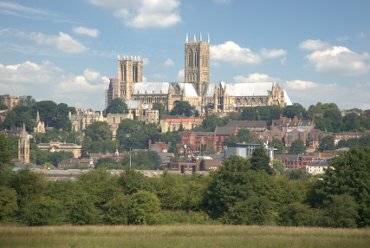 You can travel from London Kings Cross Station to Lincoln. Journey times seem to vary according to which train you catch and are 1h 44m, 1h 53m or 2h+. Lincoln Station is within easy walking distance of the city centre and the nearest point of interest to the station is the High Bridge. Further up High Street you will reach The Strait (third picture). A little further through The Strait and you will reach Steep Hill and from there a short, but steep, walk will bring you to the Cathedral and the Castle. There is far too much here to be able to see it all in a day so try and plan what you want to see before you go. There are many other places that you could visit although we can't personally recommend them simply because we have not yet been there or done that. That does not mean that these places are not worth visiting but you will have to do your own research on that. Hampton Court (30 mins. ), Windsor (55 mins. ), Oxford (60 - 90 mins. ), Dover (90 mins. ), Salisbury (1 hour 30 mins. ), Bath ( 1 hour 40 mins. ).